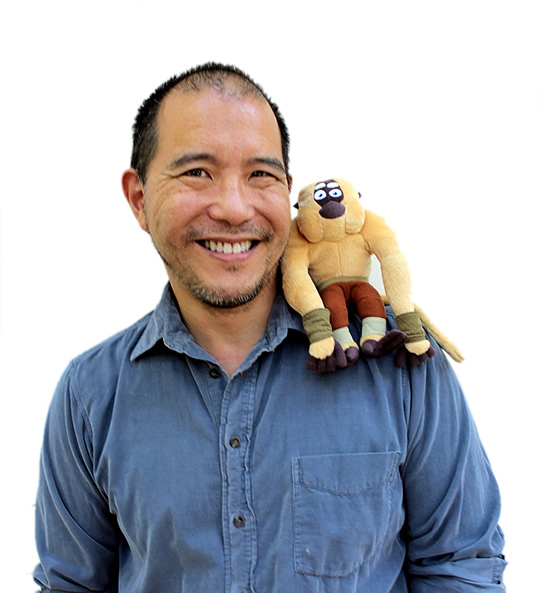 I’ve been creating voices for animation since 1999, when a chance audition landed me the title role in “Jackie Chan Adventures.” Since then, I’ve worked pretty steadily in television, movies and games. Projects include: “Kung Fu Panda: Legends of Awesomeness” (Monkey), two superheroes for the DC universe (Wind Dragon and The Atom), PlayStation’s “Uncharted” series (Eddie Raja), “King of the Hill” (multiple roles), and “Avatar: The Last Airbender” as the inimitable Cabbage Merchant. Full list of credits at IMDB.